Discover hot new colors and technical updates with new arrivals from Saucony. Browse the hottest styles for men and women with new shoes and apparel from Saucony this season. We’re constantly innovating to bring you the best designs and styles for both long training runs and short sprints. 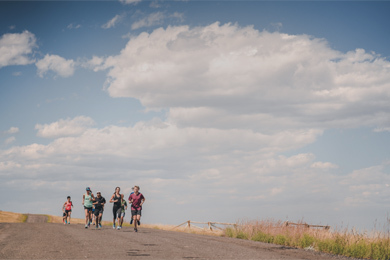 So, check out Saucony’s new shoes designed to be lightweight and breathable for hot summer runs, our trail running shoes ideal for rugged outdoor runs, and our road racing shoes with more cushion for miles spent pounding the pavement. Or, grab the latest weather-resistant apparel to wick moisture away, shed raindrops or keep you warm on cold runs. Plus, many of the new arrivals from Saucony are available in bright, fun colors. Shop for Saucony new arrivals for men and women today to find your strong no matter where your run takes you.